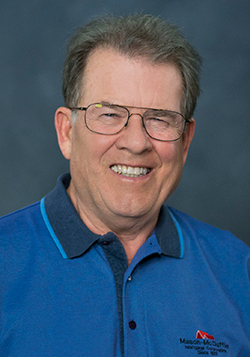 Dave has been a loan officer since 1979 in Sacramento, Placer, and El Dorado Counties. He has worked for other companies such as All Pacific Mortgage, Irwin Mortgage and American Home Mortgage. He's always been a Loan Officer. Dave gets a great deal of satisfaction getting first time buyers into their first home. Having many clients that he has worked with numerous times over the years as they trade up into bigger and better homes. Dave's success as a loan officer are his excellent organizational and detail orientated skills. His past customers will attest to his integrity and honesty in solving their particular problems as to home financing. Dave is known for his top notch customer service, working on weekends when the customer needs information and help on financing their dream home. Dave is a graduate of California State University Fresno with a degree in Business. He has had a real estate license since 1979 and is certified with the National Mortgage Licensing System, California Housing Finance Agency and Sacramento Housing and Redevelopment Agency. Dave lives with his wife Eileen in downtown Sacramento for the past 23 years. He is an avid scuba Diver for the last twenty years, traveling the world for the remote diving locations.